is the endless depth of my soul, pure and glowing. and beats faster with blissful elation. that my mind becomes a blank horizon, very peaceful. which is all I desire, your beautiful essence. because this is what I really wanted from the start. you are all that I always hoped for, that is clear. so the whole world can see my love for you, my heaven. 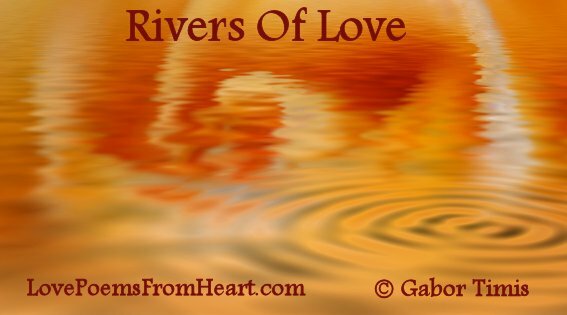 Rivers of Love is a poem that conveys the constant flow of happy emotions fuelled by an endless ocean which is in fact the immortal soul. The floodgates are open, love is irresistible and surfaces to be seen by everyone, glowing in an aura of true happiness. Very deep and touching… I love it.